In the span of less than 10 minutes, the life of Quintin Wood was forever changed. 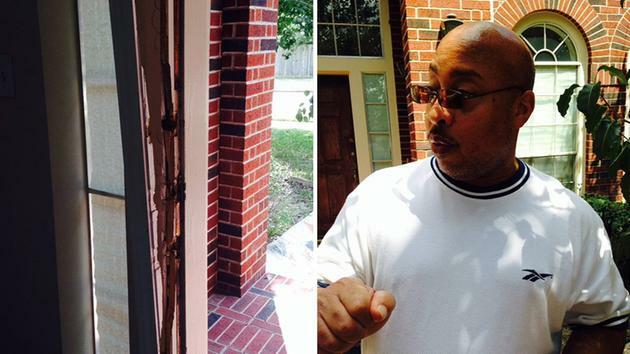 And so was the life of the man believed to have kicked in the door of Wood's northwest Harris County home. Around 10 a.m. Tuesday, the postal carrier who's on medical leave was resting before a physical therapy appointment. That's when he heard the doorbell ringing repeatedly. Then the loud banging on the door began. The suspect was said to be in his mid-20s. He was taken by Life Flight helicopter for emergency treatment. The day was far worse than the one four years ago when Wood's house was burglarized, his possessions missing. "There are no words to describe this."